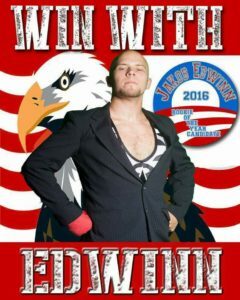 No one in the history of Pro Wrestling Mid South has accomplished more in less time than Jakob Edwinn. 2016 Rookie of the Year, 2016 Freedom Cup Winner, Legend & Lions Heavyweight Champion, Legends & Lions Tag Team Champion, handpicked and founding member of The Office and even added his name along side some legendary names when he became the Unified Heavyweight Champion! However, don’t let the smile or handshake fool you… Jakob Edwinn is no “good guy”.